The Ada County coroner says Robert Lyle Barton died from a single gunshot wound to the chest. 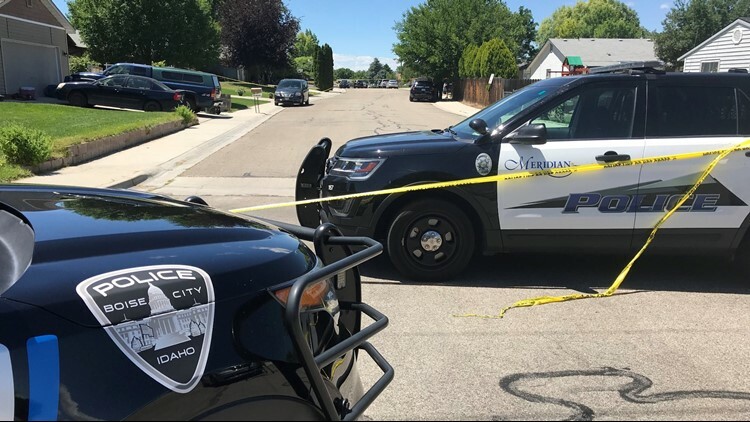 MERIDIAN - The Ada County coroner has identified the man who was shot and killed by a Meridian police officer over the weekend. Coroner Dotti Owens said in a news release on Tuesday that 48-year-old Robert Lyle Barton of Boise died at Saint Alphonsus Regional Medical Center from a single gunshot wound to the chest. Saturday's shooting happened at a home on the 800 block of West Newport Street in Meridian. Police were called to the home shortly after 12:15 p.m. for a report of a domestic disturbance involving a knife. Meridian Police Chief Jeff Lavey said on Saturday that officers spotted a fire in the backyard of the home, where they also found the suspect. The man was extremely confrontational with officers, and made statements to the effect of "I'm not going back to jail," before pulling a handgun from his waistband, police said. On Tuesday, Meridian police said what Barton pointed at police was a replica of a western-style revolver - not a gun that could be loaded with bullets and fired. 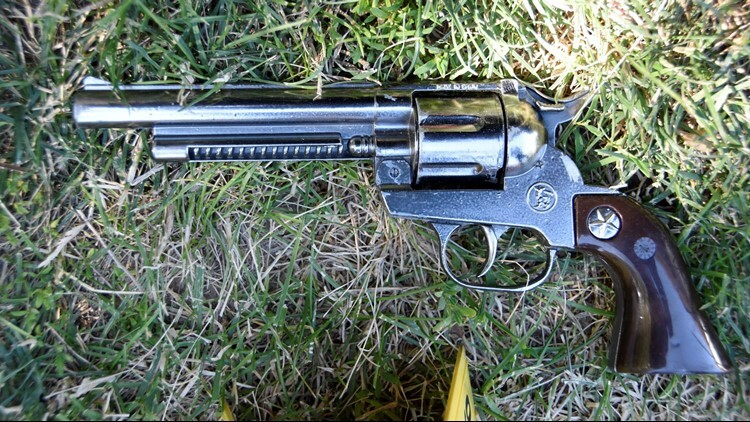 This is the replica of a western-style revolver that Meridian police said&nbsp;Robert Lyle Barton pointed at officers. One officer fired a taser at the suspect, and another fired his pistol, striking the suspect in the chest. Police said the officer who fired his weapon has served with the department for 11-and-a-half years, and his duties have included patrol and traffic. Before starting with Meridian police, he was a detention deputy. The second officer is an 11-year veteran of the department and has 21 years of experience as a police officer. His assignments have included patrol and patrol corporal, and he's currently a patrol sergeant. Both officers are on administrative leave, and their names haven't been released. A Critical Incident Task Force investigation continues. The Boise Police Department is leading that investigation. Idaho State Police, the Ada County Sheriff's Office, and Garden City Police are assisting.